We're about ten days out from the 2nd Meet at the Museum. After 5 days of rain hopefully it's clear skies from here on. We're getting everything ready and the tent goes up next Wednesday. Event starts at noon Thursday and is over when the last person leaves Saturday night. We'll have security for Thursday and Friday nights. If you're planning on attending, we'd appreciate a heads up so that we can make sure we have enough of everything on hand. There will be coffee and donuts on Friday and Saturday mornings, and the grills will be fired up on both afternoons for dogs, brats, and burgers. The coolers will be iced down with water, soda pop, and adult beverages. There will be tables and chairs in the tent for you to set up your fan displays. The Tent will be lit and electricity will be available. The Museum will be open for your viewing pleasure and the shop will be available for small repairs or just sitting around. Fanimation is just 1 mile from downtown Zionsville, which has a variety of restaurants, bars, and shops. A mile to the east, the Michigan Road corridor (US 421) is loaded with restaurants, stores, and hotels. I hope that's not code for something Jim? I am riding (or driving) along with that other Nebraska weinie guy. I believe I will be in attendance but don't have my return travel that week firmed up yet. Do you have a price on the Odyns? I didn't see it listed, unless you put it back in the other thread. Id be interested in 3 or 4 of them. I'll be there, bringing Reece the fan boy with me and some Michigan craft beer for everyone to enjoy as well! James, you'll be missed. The finishing touches are being done and we're about ready to get this party started. If you haven't already, shoot me an email or pm if you're planning on attending the meet. Looking forward to seeing everyone. 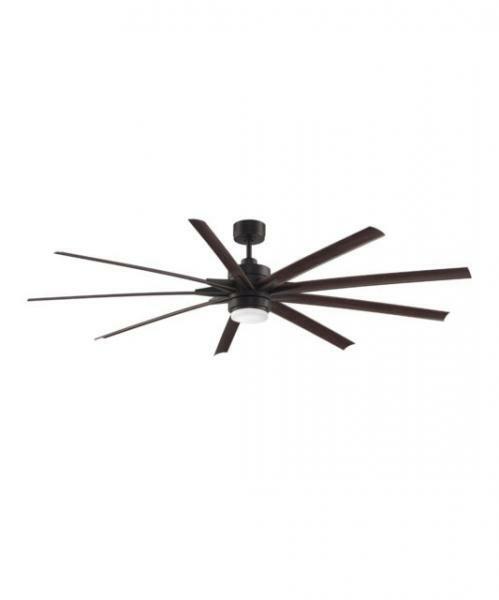 All attendees will receive a chance to win this Brand New Slinger II ceiling fan. Drawing will be held Saturday afternoon, after lunch. Looking forward to seeing everyone. The meet starts Thursday at noon and is over Saturday when the last person leaves. Just got my schedule worked out so it looks like I'll be able to make it there for the Friday activities. Pretty excited as this will be my first AFCA event! Thanks for putting this all together, Kim! what time do things officially kick-off Friday morning? En route as we speak. Looking forward to it! What a great weekend. 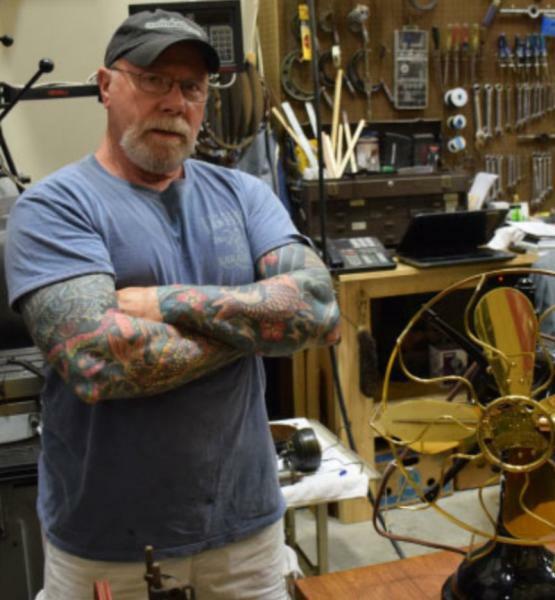 A host of quality fan collectors and fans. Nice weather was in abundance. Thanks so much to the hosts, Tom Frampton and Kim and Eddie, the Franks. Speaking of franks there were plenty of hot dogs (wahoo weiners), brats, hamburgers and sausage thanks to a number of fan club benefactors. Thanks again and can't wait for the Indy Fan Fair next July. Extremely gracious hosts!! Many great people browsing through the area. The Fanimation museum is spectacular, many unusual & common units on display!! Ray got stumped when a twin of his hassock was on site!! It was so nice to meet Karolyn Baden. The green machine came home! I needed more time but fit what I could in my schedule. Hopefully next year I can stay for the duration & enjoy it all. Looking forward until we meet again. It is always uplifting to be in the presence of a FAN GOD.......Kim! I had a wonderful time, couldn't ask for better hosts. I did lose my cell phone which was a bummer but...... I spent two days with great friends. I heard some good jokes... some not so good but still funny. Thanks for the beer and franks, Franks. It made it easier to look at George. The Nebraska delegation, too, was graced by the presence of THE F.G. What a great time! Thank you Kim and Eddie. Big thanks to Kim, Tom and Eddie, that's a lot of work they put in. Really enjoyed the meet, good to see Jen, Jim, Bill, George, Greg, Ray, meet the other collector from Kalamazoo -- Geoff for the first time -- and a host of others. I found out that the fan god thing doesn't carry any weight with Susan. She told me to get my FG a$$ outside and get the gra$$ cut, and when I finished with that, I could vacuum the house and fold the laundry......I guess I'm just back to being a Fan Nerd. We had 77 collectors in attendance during the event, along with several visitors stopping by to check things out. Lots of brats, dogs, burgers, and Wahoo wieners were consumed, along with snacks, donuts, cookies, chips, and pretzels. Water, pop, and beer was available throughout the meet. If I had known Saturday was going to turn off cold, I would have planned on making some Chili to go along with the food. The winner of the Fanimation Slinger II door prize was Jenn Selchow. Again, a big Thank you to all attendees. I hope everyone had as much fun as I did. Page processed in 0.2605 seconds (28% database + 72% PHP). 31 queries executed.